The HeartStones came to be after my musing about how simply a difficult time can be made easier with just a "word" from someone. They were 3 years in development. Their backstory can be read here: http://www.clay-cloth-paper-paint.blogspot.com/2015_01_01_archive.html They are an original design and are copyrighted. 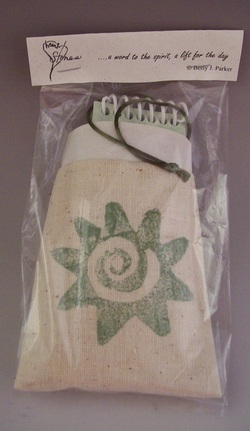 The 21 stones come in a stamped muslin bag with the meanings book and directions in the bag's pocket - easy to carry with you. Each stone is hand-formed from stoneware clay, stamped with specially created original symbol stamps, stained, sanded and fired. Bags are individually sewn and stamped with handmade stamps. Reiki energy is activated during the creation process. 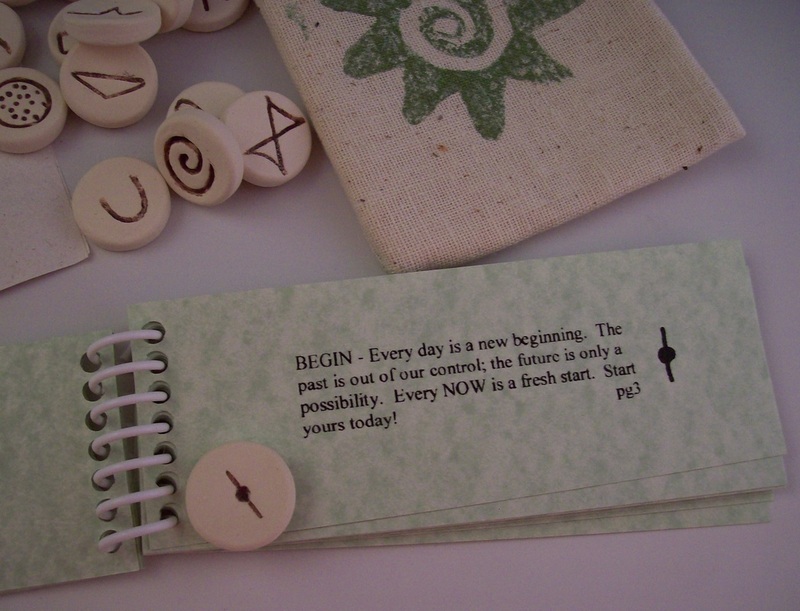 A HeartStone is drawn, the symbol found in the meanings book and the message read. There are no rules - choose one, choose more, choose till the message lifts your spirit. The HeartStones are a gift of love to bring lightness for times of heavy spirits or to encourage insight during life changes or times of decision-making. They can also be used as part of a daily meditation or in healing practices.